Nonprofit NoaNet has been expanding wholesale fiber infrastructure across Washington since 2000. NoaNet works with local communities to bring the fiber backbone to community anchor institutions (CAIs) such as schools, libraries, hospitals, and government facilities. The Jefferson County project is funded with a $3.2 million American Reinvestment and Recovery Act (ARRA) stimulus grant and a county contribution of $500,000. The network should measure approximately 70-100 miles, and connections to CAIs are expected to be 100 Mbps, however the planning is still in process. The network will connect community anchor institutions including county schools, public safety facilities, city and county government facilities, several local libraries, healthcare clinics and hospitals, and state parks. 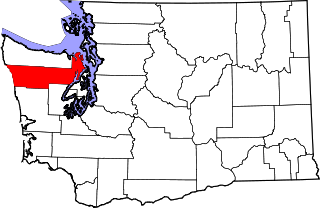 Towns that will receive anchor connections include the City of Port Townsend, Port Ludlow, the Port of Port Townsend, Quilcene, Brinnon, and Chimacum. Approximately 90 community anchor institutions will be connected through fiber or the planned wireless network. Wireless will be offered where geography and expense preclude fiber installation. Construction will start April 8th with a planned completion date of August 5th, 2013. Jefferson PUD will own the network and independent ISPs will provide service to the anchor institutions and have the option of expanding the network to serve local businesses and residents. Tier 1 are anchor institutions that must have service to be compliant with the grant. Tier 2 are sites of anchor institutions that weren't initially submitted with the grant. Tier 3 are locations that will be provided service if resources are available. Tier 2 will include expansion of connections to mor CAIs and will also connect with PUD SCADA sites. In addition to the build, Jefferson County PUD is purchasing the existing electrical system in the eastern part of the county from Puget Sound Energy. Jefferson County PUD took over delivery of power via the system on April 1st.